Let’s be honest, the olives that are made in Mallorca are not the best in the world. There are Moroccan olives, Andalusian ones, or even the generic Spanish ones – with the anchovy stuffing – , that are much better. But the majorcan ones are from here, they are ours and, listen up, they come with almost everything: soup, toast, bread and oil… De density of Majorcan bread, that thickness, goes perfectly well with the liquidity of an olive in one’s mouth. 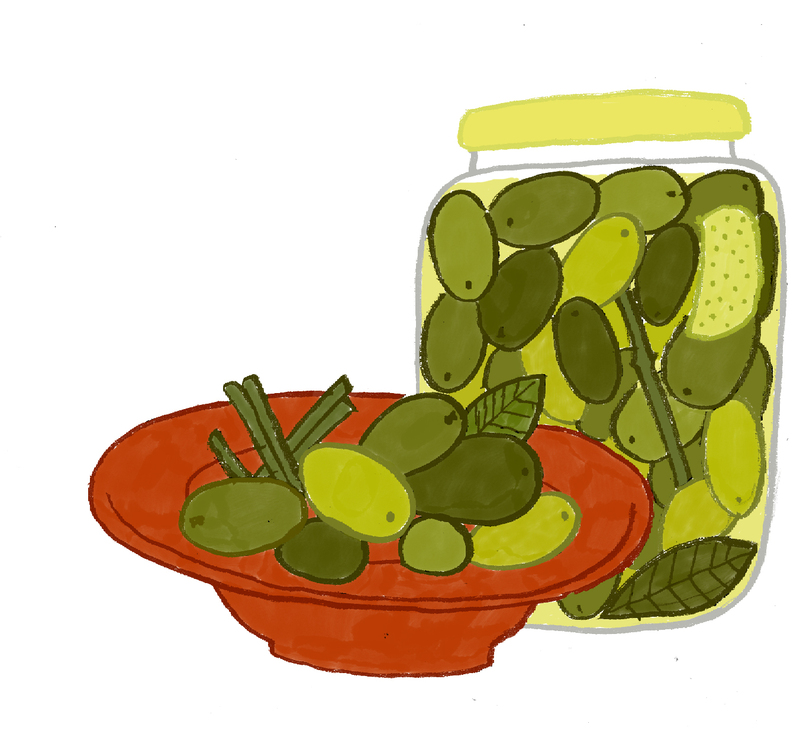 They make broken and unbroken ones, and they are always marinated with fennel. Nowadays, olives and olive oil are produced throughout the island. Olive trees are being planted where there hadn’t been any for centuries: money talks, and today – along with vineyards – these are high performance crops. But the area where olive trees are ancient and the landscape seems to be theirs is the Tramuntana range, where they are the real queens of the marjades (majorcan terraced fields).